Costa Coffee serves up an extra dose of sweetness this love month with seasonal treats that will surely make anyone’s heart beat faster. 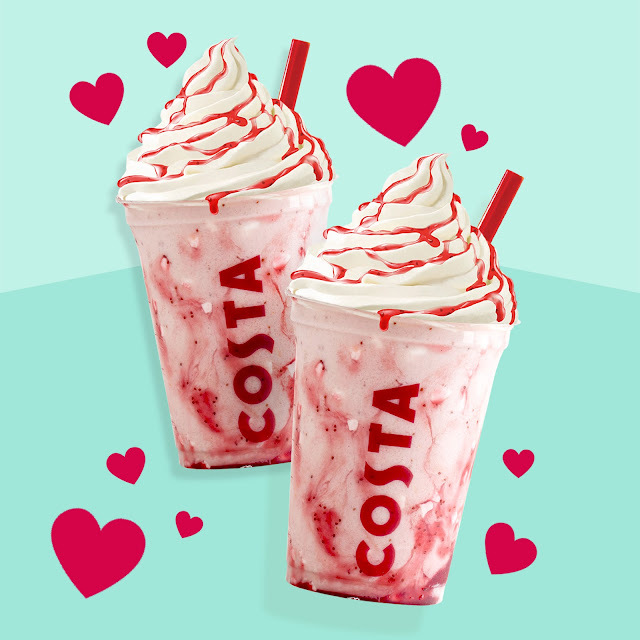 Available from February 12 to 16 in time for Valentine’s Day is Costa Coffee’s treat for two. Bring a date to this cozy coffee shop and whisper sweet nothings while sharing 2 Strawberry Pavlova – a combination of sticky meringue, gooey strawberry sauce topped with crunchy meringue and whipped cream – for only Php250 (that’s Phph80 savings you can use to buy her a rose!). Swing by the following Costa Coffee branches to enjoy this Valentine’s drink: Robinsons Supermarket, Robinsons Galleria; Robinsons Supermarket, Robinsons Place Manila; Robinsons Selections, Venice Grand Canal; Robinsons Equitable Tower; Robinsons Summit Center; Cyber Sigma, Taguig; Tera Tower, Bridgetown; Citywalk 1, Eastwood; U.P. Town Center; The Block, SM North EDSA and SM City Manila. 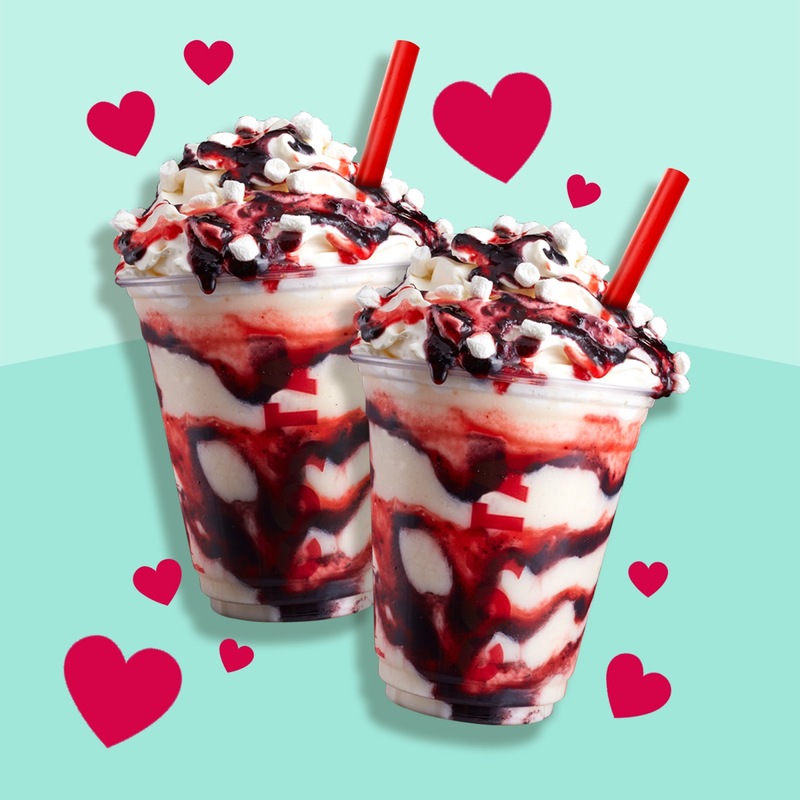 Lovers or friends, this next treat will melt your heart: 2 Berry Vanilla – a drink inspired by the classic Eton Mess dessert – for only Php250. This ice-blended drink bursts with berry flavors (strawberry and blueberry) with every sip and is enhanced by fragrant vanilla bean sauce and finished off with whipped cream and marshmallows on top. This limited offer is available at Robinsons Galleria, Robinsons Place Manila, Robinsons Place Antipolo and Robinsons Magnolia from February 12 to 16. The saccharine-laden occasion is sure to make you crave for something sweet and indulgent, so get a table at Costa Coffee and enjoy a slice of its Choco Walnut Tart (160/slice; 1120/whole), a great duo of fudgy rich dark chocolate and crunchy walnuts in a crusty tart. This sweet treat is best paired with a warm cup of latte. Surprise your special someone with a sweet treat and take home a box of the Empire Biscuit, (50/pc; 135/3s), a classic English confection. Sugar glazed biscuits sandwiched between a rich raspberry filling with cherry on top. Make it a truly #LondonStyle coffee experience with a cup of velvety Flat White, a rich, full-flavored coffee made from the purest extract of Costa’s signature Mocha Italia blend. 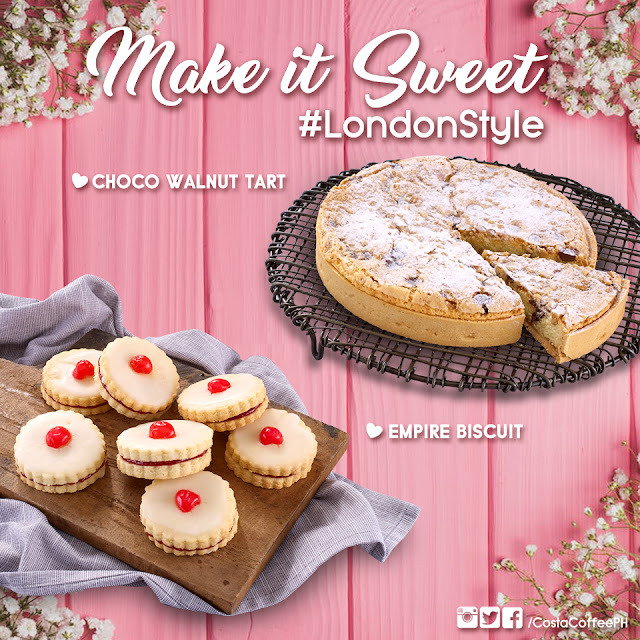 These sweet treats are available between February 5 to March 7, 2018 at the following Costa Coffee branches: Robinsons Galleria, Robinsons Place Manila, Robinsons Place Antipolo, Robinsons Supermarket, Robinsons Galleria; Robinsons Supermarket, Robinsons Place Manila; Robinsons Selections, Venice Grand Canal; Cyber Sigma, Taguig; Tera Tower, Bridgetown; Citywalk 1, Eastwood; U.P. Town Center; The Block, SM North EDSA and SM City Manila. For more details, kindly follow Costa Coffee PH on Facebook, Instagram and Twitter.